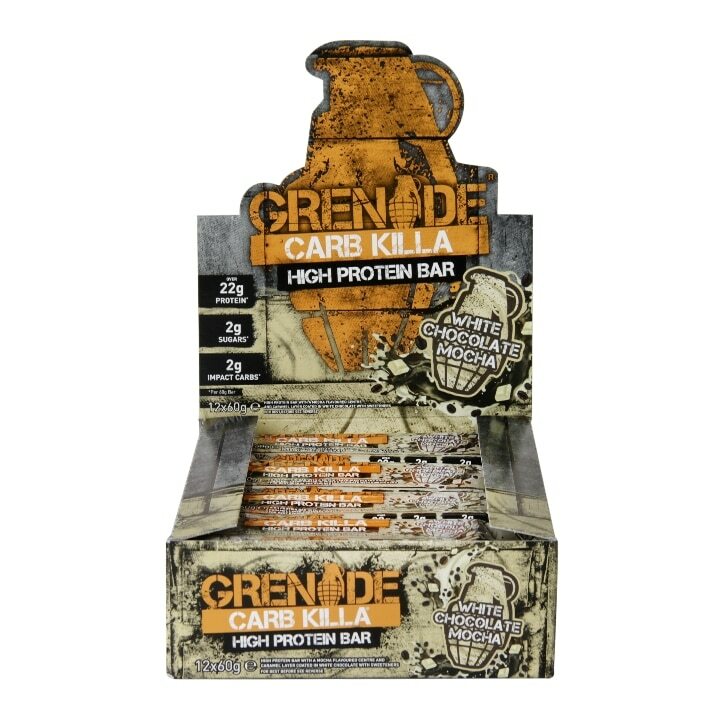 Grenade Carb Killa Bar White Chocolate Mocha is rated 4.7 out of 5 by 20. Rated 2 out of 5 by Gravityfalls from Had high hopes After reading the great reviews on this product I decided to buy a box full. They don't taste that great to me. I haven't tried any other flavours and don't think I will now after reading that these are probably the best tasting ones. They do seem to fill me up though that's why I have given 2 stars. I can only handle half a bar at a time so they will last a while. Rated 5 out of 5 by Boopie from My Go-To Protein Bar I've now managed to go through all the Grenade Protein Bar range and this is my all time favourite! I'm not a massive fan of anything coffee-related but this tastes amazing. The thought of being able to have one of these after my running or body-pump sessions actually motivates me! I often stock up on them when they are on offer, but I also don't mind paying full price if I have to because they are amazing!